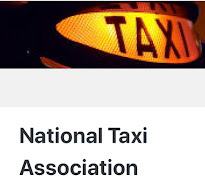 Save Our Black Taxi FaceBook Group Petition Hits The 10,000 SignatureMark. Congratulations to the Save Our Black Taxis Taxi, FaceBook Group who have now hit the 10,000 signature target. Thank you so much for your support, and for taking the time to sign the petition! What a fantastic achievement, we now have over 10,200+ signatures! We are aiming to keep growing the number of signatures, and would appreciated your continued support to promote the petition and #SaveTaxi. Uber Passenger Map Is A Fake. No More Than A Screen Saver. Uber have been asked for clarification on its map/screen saver. I don’t know if we’ll get a straight answer about this, but there is a good reason why Uber would want to manipulate its passenger map results: When you open the app and see a bunch of available cars nearby, it makes it seem like it’s definitely the quickest way to get a ride, which makes Uber seem more attractive. But it's just a lie. Uber recently boasted that that had achieved 369% growth. Thruth is they spent $885m to get $415 back in revenue. 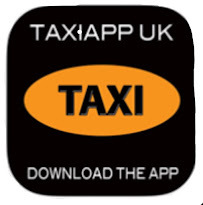 Last year, when London Taxis drivers went protested about Uber's operation and TfLs woeful inadequacy, Uber boasted an increase in app downloads of 800%. Yet they only moved up 2 places on the App Store league table, from 56 to 54. App-based minicab service Uber is facing legal action over claims it is failing to provide basic rights to its drivers. The union says Uber is breaching its duty on pay, holidays, and health and safety. The firm says making drivers employees would mean losing their flexibility, which makes the job appealing. GMB, the union which represents professional drivers, has instructed the law firm Leigh Day to take action on behalf of members driving for Uber. Nigel Mackay from the firm believes legal action could result in "substantial pay outs" for drivers: "We believe that it's clear from the way Uber operates that it owes the same responsibilities towards its drivers as any other employer does to its workers," he said. Uber describes itself as a "pick-up" service that connects those needing a ride with a background-checked private driver, and takes a cut - typically 20% - of the fee. In May, Transport for London reported the number of private hire vehicle licences had risen from 52,000 to 77,000 over the previous 12 months, and most of that increase down to new Uber drivers. Nigel Mackay went on yo say, it was time Uber took "responsibility" for its drivers and treated them as any other employer does. Source BBC News and Wired UK. 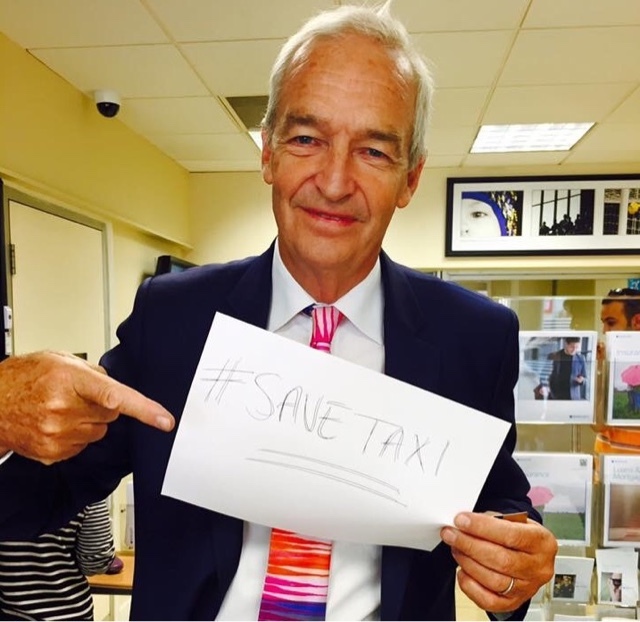 The Save Our Black Taxis FaceBook Protest. 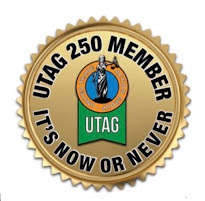 Within just a few months they have managed to attract over 12,700 members, making them the biggest group this trade has ever had. These people have put their hearts and soles into supporting the trade and on Friday 31st July, it will be our turn to show support for all the hard work they've put in on our behalf. This is not a formal Taxi vehicle demonstration, it will be a peaceful, on-foot gathering of friends and families members of Taxi Drivers. There should be no police harassment, no numbers taken, no nasty letters from Palestra like with previous demonstrations. Let's make this the biggest protest TfL have ever seen. In all my years as a licensed Taxi driver, I have never seen a petition raised by the trade with more than just a few hundred signatures. 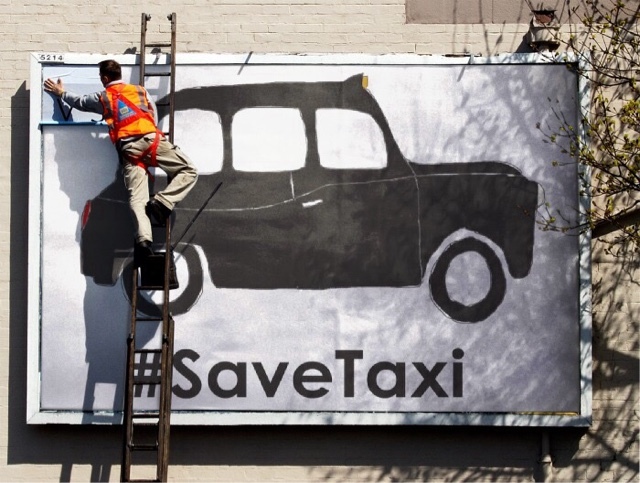 The Save Our Black Taxi Petition is nearing 10,000 signatures. If you can't make it on Friday, you can still help by getting your friends and family to sign the online petition. 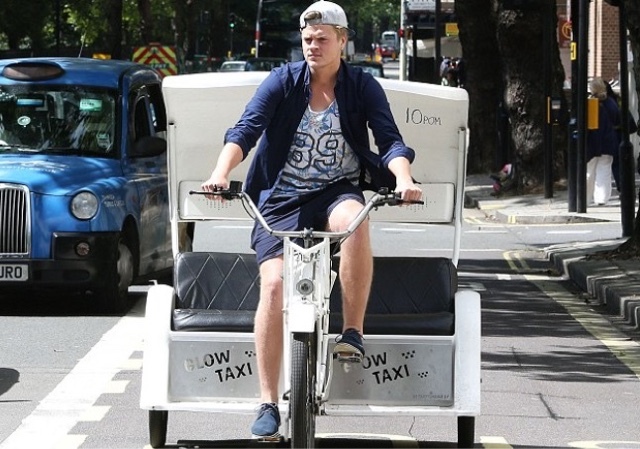 The Mayor and Transport for London (TfL) called for a change to legislation that would allow them to effectively ban dangerous pedicabs in the capital. So what happened back then. What stopped the Mayor and his legal eagles going after pedicabs ? If Mr Dzjabovic is here on a Tourist Visa he should not be working. Why haven't the UK Boarder Agency arrested and deported him ? How many more rickshaw riders are ripping off tourists while illegally working on a tourist or student visa ? So Where Did It All Fall Down? Under project Horizon, priorities at TfL's Victoria based HQ shifted dramatically, panels scrutinised and the floodgates for more change were firmly wedged open. 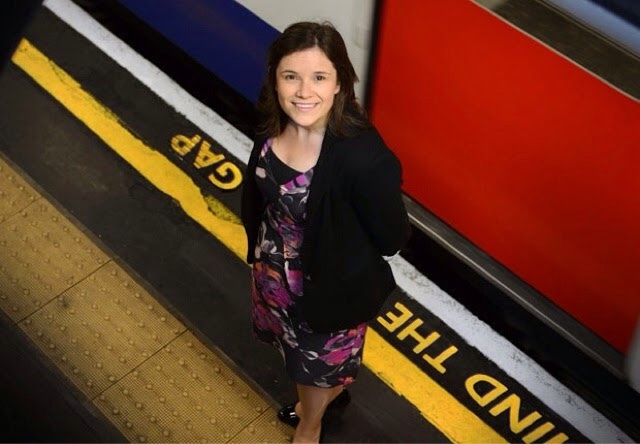 TfL set about streamlining its legal Panel, announcing in October 2012 that it would be cutting outside legal consultancies, from 12 to 11 firms. Not too drastic you'd think, but at the same time replacing the elite Bird & Bird, Clifford Chance, Manches and Travers Smith with a cheaper alternative set; Lewis Silkin, SNR Denton (now Dentons) and Trowers & Hamlin. TfL shaved the areas in which it employed the help of external lawyers to purely commercial projects, property, employment and litigation matters. All this fat trimming reduced external spend to between £12m and £15m per year, a saving of approx £3m a year. But when you plump for cheap, it comes at a cost as TfL was soon to find out. 2012 also saw the defeat of TfL's legal team by Diamond Chauffeurs ltd. Even after the company were caught blatantly on film touting, TfL's cut price team lost to a high court appeal and just left it at that. After waiting almost twelve years to get a water tight, open and shut case against a PH operator openly touting outside a satellite office (licensed or otherwise), the then Director and Deputy Director of LTPH, set their sights on Diamond Chauffeurs Ltd. Unfortunately, their cut price legal team subsequently lost the "open and shut case". 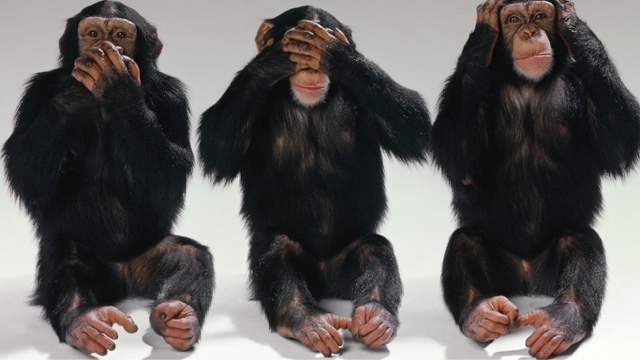 Observers at the hearing was stunned by TfL's legal team's lack of preparation. Little phased by the effect on the Taxi trade in general, TfL now operate a more loose approach to PH licensing, as we now are starting to find out to our cost. Issues abound, such as the ease in which Uber became and stays licensed. Also back in 2012, RD2's acquired multiple license variations (satellite office licenses), without the requirement of being in business for the minimum period under TfL policy. After a series of lies about RD.2 (from the ex Director of LTPH) were disproved, TfL finally changed their stance and stated it is not a legal requirement, but just guidelines. -RD2.com received all their licence variations on the same day they registered as a brand new operator. This unit of 76 lawyers plus top TfL management Howard Carter, have now looked at the running of American company Uber and so far, can't decided between themselves if this company is operating legally or not and have had to seek judicial opinion, which (in our opinion) they will loose. 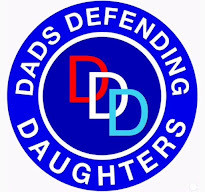 In all the years as administrator to the Taxi and Private Hire trade, and with their hand picked (cheap) team of 76 lawers plus 11 outside legal consultants, TfL have only ever publicised one victory against a PH driver (who incidentally, pleaded guilty) for illegally plying for hire. Every now and then the carefully prepared script is rolled out by someone from TfL giving the amount of arrests for touting since 2011. But they never give the amount of convictions! Fact is the totally number of convictions is just a minute fraction of the arrests, most of whom are given a verbal warning or they contest the charge and get off. Either way, very few actually get their livcence revoked. That's the trouble with lawers, they don't come cheap. You pay peanuts...you get monkeys. The only problem facing minicabs touts today, is where to illegally ply for hire from. The choice seems endless as LTPH have dished out satellite office licenses like sweets to hungry kids. As for touting detection and arrest, a minicab driver has more chance of winning the Nationsl Lottery than being done for illegally plying for hire, FACT. £15m per year of tax payers money, 76 lawyers, 11 outside legal consultants and in Leon Daniels own words, they've had to ask someone smarter. An Appeal For Witnesses Of Vicious On Taxi Driver, From The Met Kensington And Chelsea. Detectives from Kensington and Chelsea are appealing for help to identify two witnesses six months after a black cab driver was seriously assaulted. On Monday, 26 January, at approximately 02:20 hrs, a 62-year-old black cab driver was working when he was hailed by a man and a woman in their early 20s in the vicinity of Brompton Square near Harrods. The cab driver, who does not wish to be named, stopped and agreed to take the couple to Addison Gardens in Kensington. Following the journey of three or four miles, the man paid the fare of £20 and the pair then left the cab in Lower Addison Gardens. As they left the cab, the driver noticed that the woman had been sick in the back of his cab at some stage during the journey. He suggested to the man that they should clear up the mess or give him an extra £45 to pay for the cleaning of the cab. 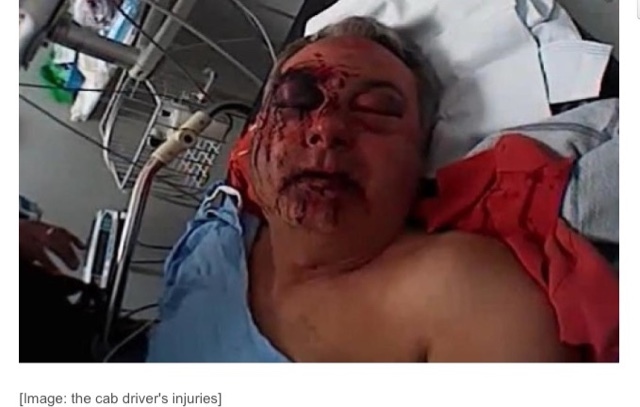 The cab driver has no recollection of what happened next but when he regained consciousness he was badly injured and his clothing was covered in blood. He managed to drive home where his son took him to hospital for treatment. He had sustained multiple fractures around his eye socket. Officers were called to the hospital where they began an investigation. Detective Constable Simon Jewell, from Kensington and Chelsea CID, said: "The victim's injuries are consistent with having been repeatedly kicked or punched in the head. This would appear to be a vicious attack on a 62-year-old man who has only recently been able to return to work. "We have released a photo of the cab driver in hospital taken from a Body Worn Camera in the hope that this will encourage people to come forward with information to help the investigation. "We are appealing for anyone who can help us to identify the couple, a white man and woman in their early 20s, who caught the cab in the early hours on Monday, 26 January from the vicinity of Brompton Square to Lower Addison Gardens. "We'd particularly like to speak to the residents of Lower Addison Gardens and Addison Gardens who may have heard noise at approximately 02:30 hrs on Monday, 26 January or may even have witnessed the assault." If you have any information about this incident please call police on 020 8246 0217 or Crimestoppers anonymously on 0800 555 111. At a set time EVERY day (perhaps 3pm?) taxi drivers who want to protest could drive to their nearest preselected roundabout. It may be at Waterloo, Vauxhall, Aldwych, Parliament Sq, Old St, Hogarth ,Uxbridge or anywhere else in London. Protesters would then stay on the roundabout driving slowly for 15-20 minutes. No Police Notice is required as this is not a formal protest on foot. No Trade org has to put their name to it as its just a viral protest organised by word of mouth/twitter etc. The protest is controlled by the individuals who protest and not by any Trade Orgs who may have been influenced to stop it. The protests will continue every day until the media clearly reports the message and the objective is achieved. There is no requirement for anyone to engage in negotiation; the protests stop when the message of corruption is properly reported by the media and the objectives met. The message to the media is that the protest is about the corruption of Boris Johnson and TFL and their failure to comply with Public Law on ALL issues. 1/ That the Government intervenes and stops all improper practices IMMEDIATELY. 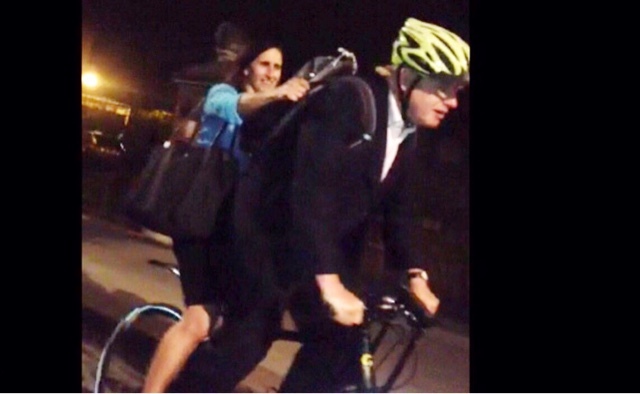 2/ An urgent and fully Independent Inquiry is set up to investigate the improper and unlawful conduct of TFL and Boris Johnson with the objective of setting up a proper and fair system of management for London Taxis which complies fully with Public Law. The protest is controlled by the individuals who protest and is not by any Trade Org who may have been influenced to stop it ! There is no requirement for anyone to engage in negotiation ! The protests stop when the message is properly reported by the media and the objectives met ! In the next few weeks many taxi drivers will be sitting around for most of their day anyway, so it would be a good use of their time to spend 15-20 minutes protesting every day. It shows how much chaos was created in a 30 minute hit on the St Johns Wood roundabout in 2011. Traffic congestion was reported as far back as Hyde Park Corner, within 20 minutes. By 30 minutes the congestion was so bad, police were order to back up the protest. These carefully organised hits will not use up much fuel or time by protesting close. Just go to the nearest one, wherever they happen to be at that time. It shouldn't take much for the Taxi Protests to get noticed, given the current mess that Johnson and TFL have made of London’s roads. The media could be fully briefed. 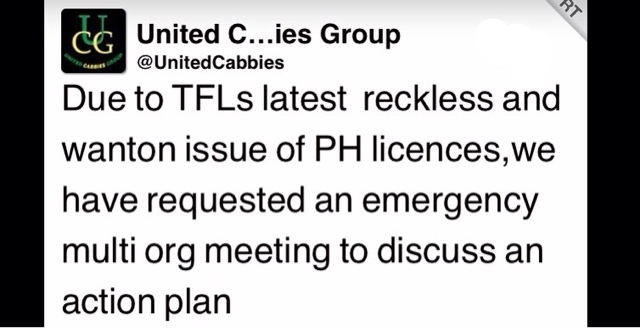 Just as we posted this article, we received a report from Twitter that the UCG have requested an all org meeting to discuss an action plan, after TfL admitted to processing nearly 2,000 New PH licenses in just 3 weeks. TfL are currently adding £750,000 a month from new PH licence fees to their coffers. Uber Sued In Canada For C$400m As Cabbies Mount Joint Action. 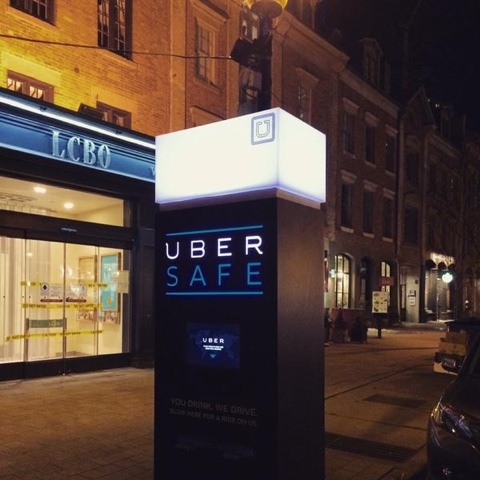 As part of their current marketing campaign, Uber Toronto has input a roadside breathalyser in which clients can determine whether they are fit for driving or not. If your blood alcohol content is above the legal limit, an Uber vehicle will be sent to your location for pick up. Many Canadian Taxi drivers are worried that this is a forerunner of an unmanned online satellite booking office, taking the need for a smart phone out of the equation. As within London, some Canadian government officials continue to support the mobile app company's business model. Uber are now facing a multi million dollar legal action by taxi drivers in Canada's biggest cities. 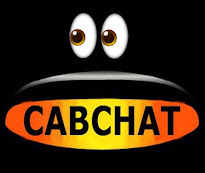 The drivers are seeking C$400m ($307m; £198m) in damages and an injunction to stop the taxi-booking app from operating in the province of Ontario. The action alleges that services like Uber X and Uber XL have created an "enormous marketplace" for illegal transportation in the city. These services use contract drivers who are not licensed taxi operators. The legal action was filed by law firm Sutts, Strosberg LLP and named cab driver Dominic Konjevic as the plaintiff. The firm said the case represents all taxi drivers and companies in the province but if a judge agrees to hear the case, drivers and companies can choose not to be involved. The move comes after a provincial court had rejected the city's bid to stop Uber's services in Toronto earlier this month, citing there was no evidence it operated as a taxi broker. Uber has responded by saying the "protectionist" lawsuit is without merit. "As we saw from a recent court ruling in Ontario, Uber is operating legally and is a business model distinct from traditional taxi services," a spokeswoman told Reuters on Thursday. Uber's app allows passengers to request rides from drivers in the area and its fares are generally lower than those of traditional taxis. It also offers ride-sharing options. The San Francisco-based firm has been embroiled in legal battles around the world over its operations. Last week, it was >fined $7.3m (£4.6m) in California< for withholding information from regulators on incidents such as accidents. But, this has not stopped the company from moving aggressively ahead with expansion plans. The lawsuit was filed on the same day as >Uber Canada expanded< into four more Ontario cities, offering free rides to customers. While Taxi Drivers Are Thrown Out Of Work Waiting Months For Renewals, TfL Issuing Thousands Of PH Licenses. 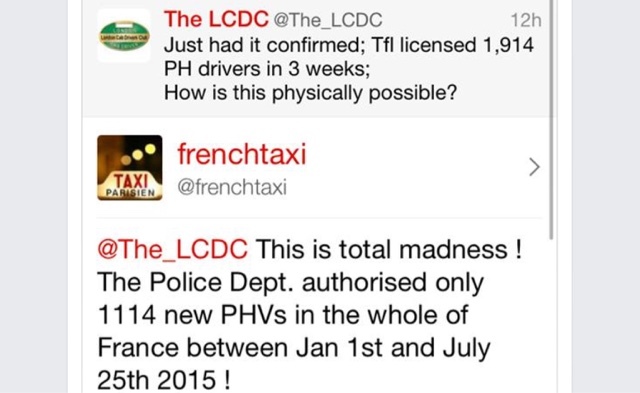 A confirmation tweet has been sent to the LCDC, from TfLs @TfLTPH Twitter account, stating that in a 3 week period from Monday 22nd of June to Friday 10th July, TfL licensed 1,914 "new PH drivers", plus 2,176 "new PH vehicles" were plated. In the same 3 week period, just 62 new Taxi driver licenses were issued and 95 new Taxi vehicles were plated. 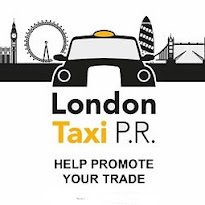 An insider at Windsor House has told Taxi Leaks that TfL are actively escalating the process to get as many new PH drivers and vehicles out there as physically possible. Taxi drivers are having to wait months for licence renewals, while its alleged staff at TfL are prioritising PH applications. A French Taxi driver, replied to the LCDC tweet saying that in the period between 1st January and July 25th 2015, their police department authorised just 1,114 in the whole of France ! MP Tom Watson wants no direct action from London Taxi orgs while Parliament shuts down for a 2 month recess. But by the time Parliament resits, another 5,104 PH drivers will have been licensed and out on the street working for Uber. 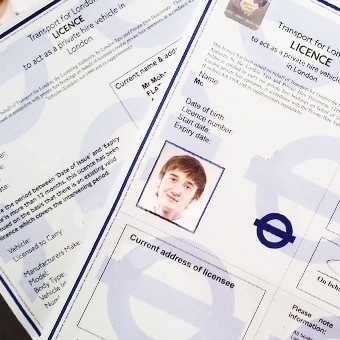 This will see another £1.5m in PH driver licence fees alone, going into TfLs coffers. It was Sir Peter Hendy, who personally oversaw the withdrewal of the traditional temporary Taxi licence which for many decades were issued to drivers waiting for licence renewals. 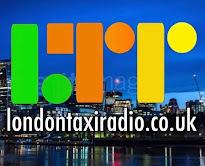 When asked why he had revoked temporary licenses, Hendy said it was to protect the public from Taxi drivers with many years of previous good character, who may be convicted while waiting for renewal to be issued. So in Sir Peter's eyes, Taxi drivers suddenly become a safety risk when their current licence expires. Yet, PH drivers who arrive in London as asylum seekers are licensed to drive minicabs without having to undergo a criminal record check. You couldn't make it up ! Surely now Sir Peter has gone, the orgs that engage with TfL through the elite cabbies cabinet, should be up in arms at Windsor house, regularly banging on doors to get the temporary licence system for licensed Taxi drivers reinstated.